Believe it or not, the holidays are almost here, and that means buying the obligatory gifts for friends and family. 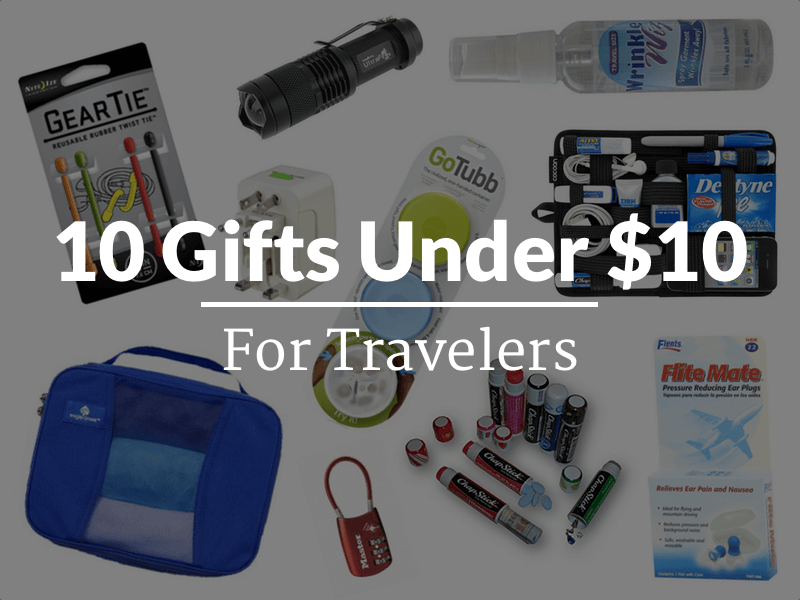 After carefully researching online for items to buy for my friends and family, I came up with these amazingly useful gifts for travelers and would be travelers. If you are a traveler like me who wants to save every penny to travel the world, these are for you. The humangear GoTubb is the perfect container for taking small dry items in your carry on. 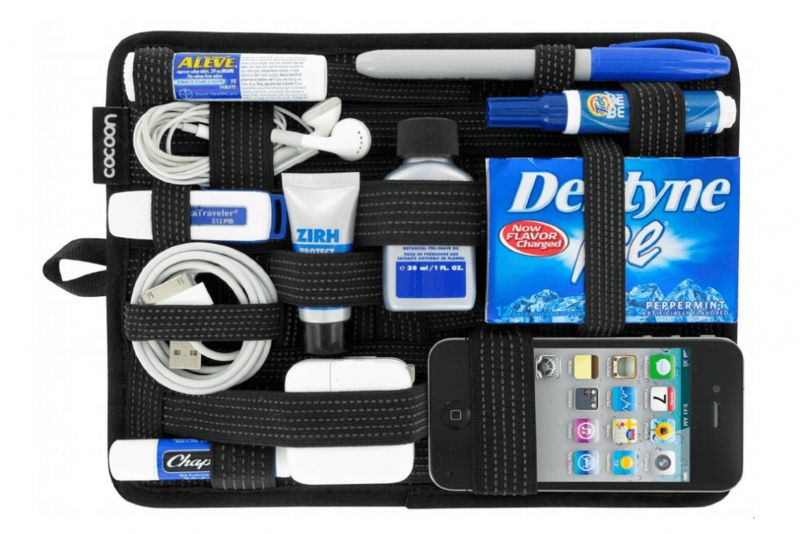 The GoTubb helps to organize your pills, snacks, wires and more while meeting carry on requirements. Each tub can be opened with just one hand, which is incredibly useful when on planes or traveling. GoTubbs come in a set of three, including one clear, one blue and one green. Get the humangear GoTubb here on Amazon.com. Ever stayed in a hotel without a safe, but still wanted to safely keep your valuables? This is what the ChapStick Diversion Safe Stash Can is made for. At $8 each, the ChapStick safe can hold a few bills, pills or even earrings without attracting any attention. Each ‘safe’ is made from a genuine hollowed out ChapStick, which no one would expect to be filled with valuables. 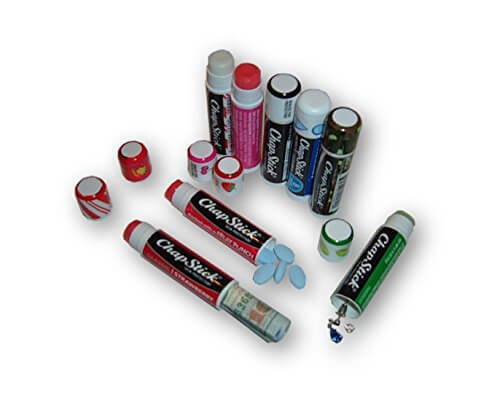 You could confidently hide a couple of high denomination bills in your ChapStick safe in plain sight without worrying about thieves or dodgy hotel staff stealing them. Get the ChapStick Diversion Safe here on Amazon.com. Nite Ize Gear Ties have as many, if not more uses than a Swiss Army knife. These ties come in several colors and lengths and are made of metal wires with rubber coating. The ties can keep wires from getting tangled, secure items, close snack bags and more. The 3 in length is perfect for travelers who want to organize their gear without carrying too much extra weight. 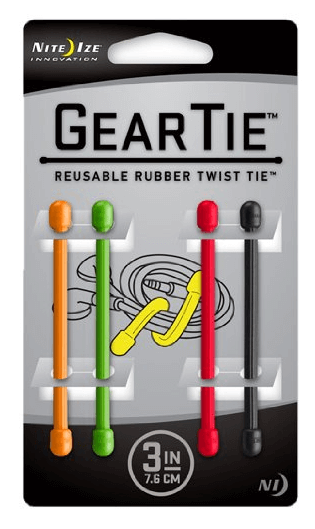 Get the Nite Ize Gear Tie here on Amazon.com. Of all the (few) things you could buy with $9, the Cocoon Grid-It organizer is probably one of the most practical. Designed to organize your knickknacks and electronics, the Cocoon will prevent you from losing stuff and also save space in your backpack. With the Cocoon, won’t need to fish for your gum or flash drives at the bottom of your purse or backpack. Get the Cocoon GRID-IT! Organizer Case here on Amazon.com. These ear plugs by Flite Mate reduce pressure and cut down on background noise, making flights more comfortable. 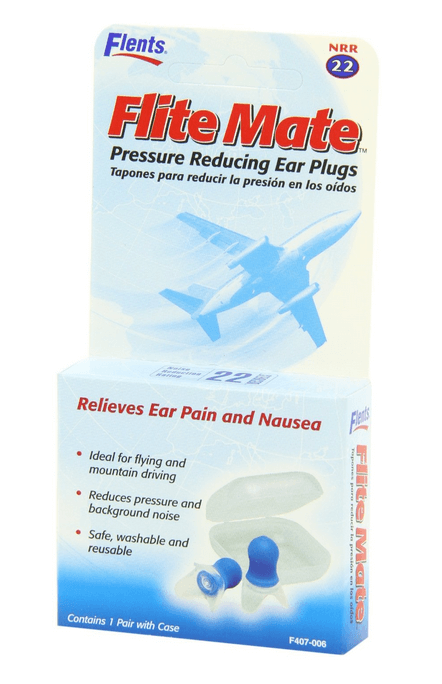 Flite Mate ear plugs are made of a soft rubber, and also include a carrying case. The plugs are meant to prevent your ears from popping when ascending and descending, and are washable meaning that they can be reused over and over. Get the Flite Mate Pressure Reducing Ear Plugs here on Amazon.com. This $3 travel adapter allows you to charge your gadgets practically everywhere. 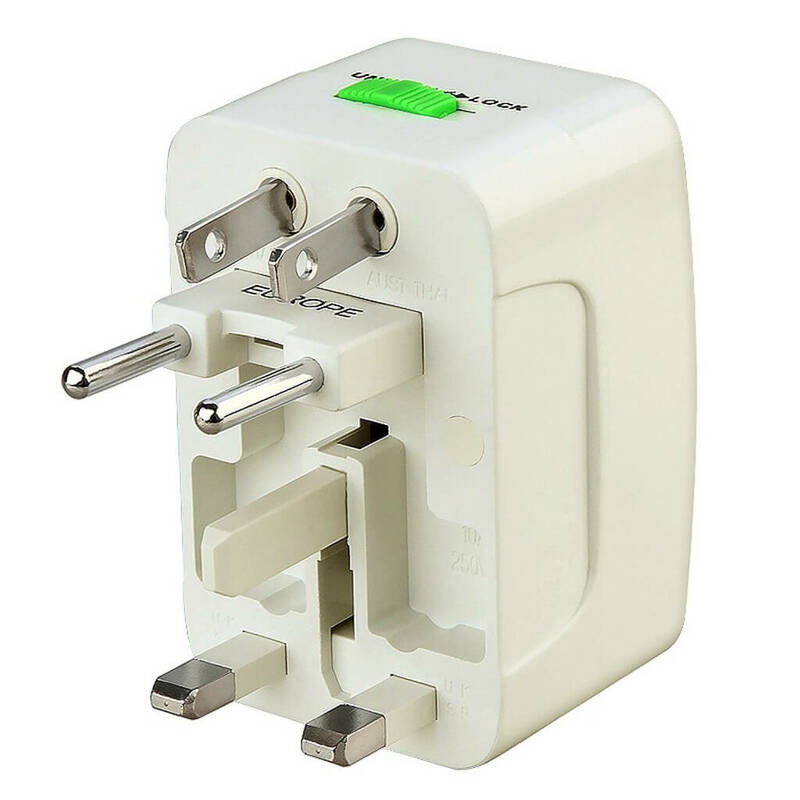 Inside the adapter are 4 different prongs which can be stowed away and accessed when necessary. The prongs are compatible with every country (that I’m aware of). Everything folds into a compact package about the size of an 8 year old’s fist. Note: This doesn’t convert voltages, but it adapts the outlet prongs. Get the eForCity Universal Travel Adapter here on Amazon.com. You never know when you’ll need a flashlight when traveling. The Mini Cree Led Flashlight puts out an impressive 300 lumens (a lot brighter than your phone’s flashlight) while being small enough to fit in your palm, since it is powered by one AA battery. 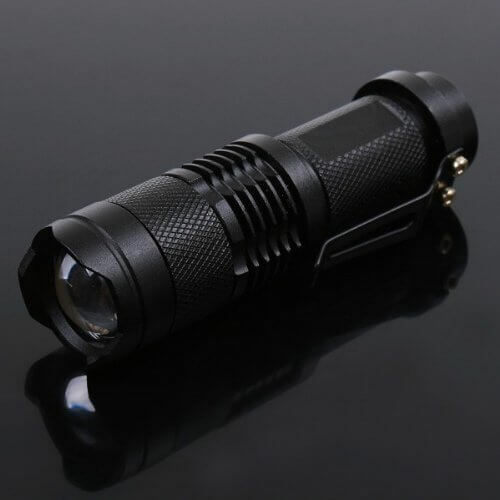 The flashlight has three settings: full brightness, half brightness and strobe and also can be focused by pulling the head of the flashlight forward. The best part is that it costs only $4. Get the Mini Cree Led Flashlight here on Amazon.com. Never wear wrinkled clothes again! The Lewis N. Clark Wrinkle Wiz spray is formulated to eliminate wrinkles and odor from your clothes, without you needing to iron. This is extremely handy for travelers who’s clothes get wrinkled during transit, plus, it meets carry on guidelines. 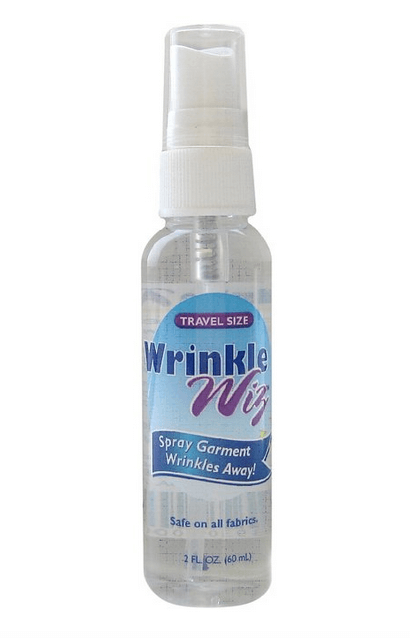 The Wrinkle Wiz claims to be safe for all fabrics and makes clothes smell as if just washed. Get the Lewis N. Clark Wrinkle Wiz here on Amazon.com. It’s not common that you’ll find packing cubes under $10, but if you do, you should jump on the opportunity. 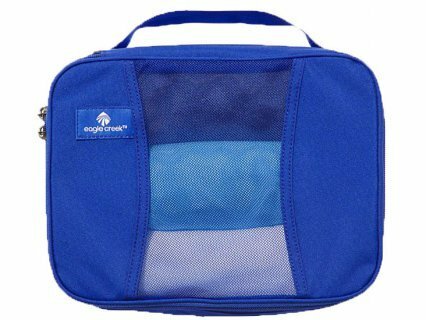 The Eagle Creek Pack-It Half Cube costs $7 and is versatile enough to hold your accessories and compact clothes such as t-shirts, socks and underwear. Packing cubes help to organize and compress your travel gear in your backpack or luggage. Wondering if packing cubes are worth it? Check out my post about the pros and cons of packing cubes. Get the Eagle Creek Pack-It Half Cube here on Amazon.com. Maybe this isn’t the present you’d be most excited about opening, but that doesn’t make the luggage lock any less useful. This combination lock from Master Lock is sure to keep your travel gear safe and has a flexible cable for locking any odd shaped zippers. This is a real must have for travelers. 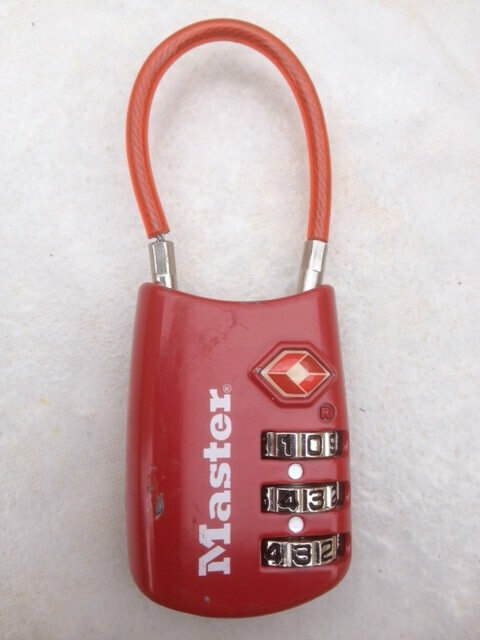 Get the Master Lock Combination Lock here on Amazon.com. What gifts do you usually give to your traveler friends? Leave your comment below.